New year, new study, same result: for the second straight year, Pennsylvania college students have the second-highest amount of undergraduate student debt, on average. This time around, CNBC used data from the 12th annual student debt report from The Institute for College Access and Success (TICAS) to put together a ranking of each state in the country. TICAS’s data says students in Pennsylvania rack up average student loan debts of $35,759, and that 68 percent of Pa. students graduate with debt. According to TICAS’s data, Delaware ranks fourth-highest in average student loan debt with $33,838, while New Jersey ranks 18th with $29,878. Last year, Pa. ranked No. 2 in average student debt when WalletHub put together an analysis of 11 different post-grad debt factors. The national champion, as far as average student debt? That would be Utah, the only state with a figure below $20,000. Just 43 percent of its grads have student debt, the lowest mark in the country and just one of four states (Arizona, Wyoming, Alaska) to have less than half its grads take on student debt. It shouldn’t be too surprising that five of the top six states in average debt are Northeastern states. The Ivy League schools dot the area’s crowded collegiate scene, and plenty of prestigious private institutions that aren’t Ivies still charge sky-high tuition when compared with the in-state tuition of a state like Utah. Did you know that Weber State and Utah Valley Universities both have in-state tuitions under $5,000? Even Utah State is under $6,000. 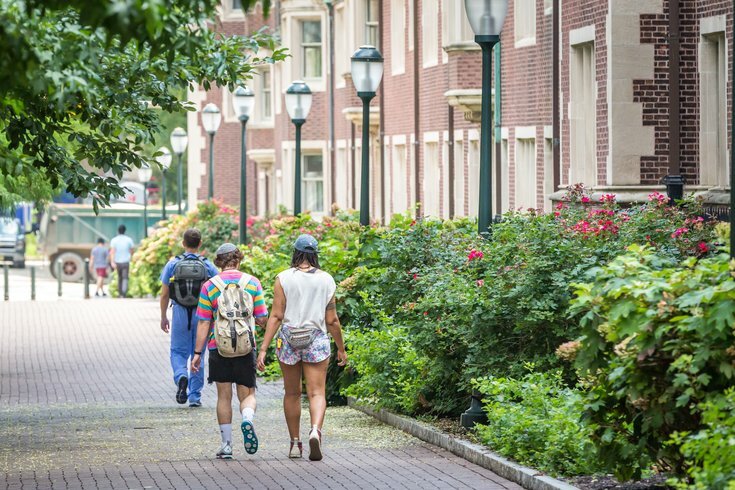 According to a 2016 report on affordability, to pay for full-time tuition at Penn State, Pittsburgh or Temple, on average a family would have to spend 47 percent of its income. Twenty percent of families making $30,000 a year or less would be spending 105 percent of its annual income earnings. Until the state’s universities decide to do something about rising tuition costs, Pa. can expect to land near the top of these kinds of lists for the near future.